We are passionately engaged in providing an exclusive array of Industrial Drying Oven for our esteemed clients. This product is manufactured by our highly experienced professionals from the finest grade raw-material at par with the market prevalent norms. In addition to this, every single product offered by us is subject to a variety of tests to ensure that it complies with the set global quality standards. 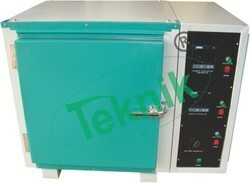 Our valuable clients can avail this oven from us at industry leading prices. An ergonomic design, convenience of use and simplicity of operation. Ease of calibration and maintenance. 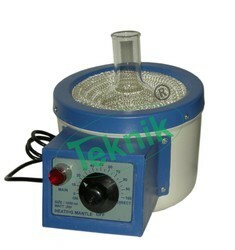 Availability for high temperature and high pressure disinfection of part of the device. Large display window allows for easier volume identification. 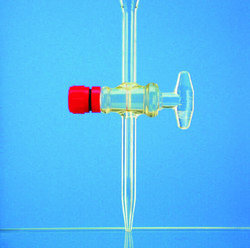 With an Semi-Autoclavable tip cone, these Fixed volume micropipettes are available in a wide range of capacities from 0.5 μl to 1000 μl . 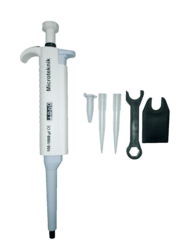 With an Semi-Autoclavable tip cone, these Variable volume micropipettes are available in a wide range of capacities from 0.5 μl to 1000 μl. Fisher type to hold two burettes at their suitable for mounting on only iron stand of 1/2" dia rod jaws are rubber covered with fine gripping and without obstruction the view of graduations. 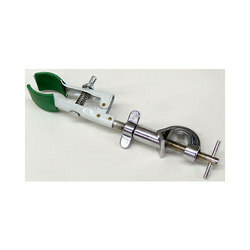 This clamp is ideal for use with straight sides glassware and apparatus such as burettes, tubes & flask necks. The jaws are coated with nonslip vinyl sleeve. Can hold objects of 8-30 mm dia. Overall length 22 cm with integral bosshead. Our rapidly growing organization is offering the high quality Rota mantle to our clients from every nook & corner of entire country. This mantle is manufactured at our high quality production facility using advanced technology from superior grade raw material, in order to furnish maximize satisfaction to our clients. Apart from this, we provide this mantle in various customized options as per clients' requirements. Attached aluminum casted boss head. Holes - 19 holes assorted. Coating - Blue powder coating. 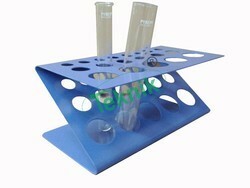 Looking for Laboratory Equipments ?